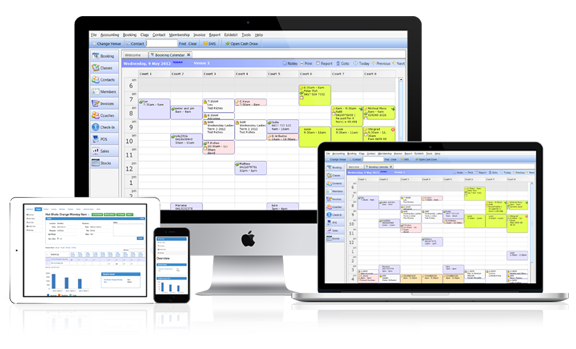 ClassMaestro® is a complete software solution for class based businesses. 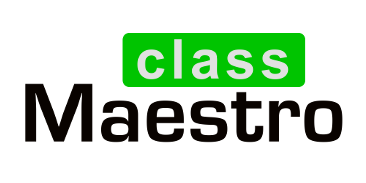 Our ClassMaestro customers include dancing studios, martial art businesses, tutoring schools, music teachers, gyms, and sport businesses etc. Managing your classes has never been easier! With ClassMaestro you can keep track of student's attendances, payments and scheduled sessions with only a few clicks. Bring your business online 24/7! The online class registration feature gives your customers an easy and secure way to enrol and pay for tennis lessons, competitions and holiday programs. ClassMaestro's invoicing feature presents an easy way to bill your customers, allowing you to generate elaborate invoices with a single click! Details such as customer information, fee, billing items and tax are filled in automatically, and generated invoices can be printed or emailed to the students or parents directly. ClassMaestro can really save you time and money! With ClassMaestro, managing one-off or recurrent direct debit payments is straightforward. The integrated Direct Debit solution allows you to collect customer payments automatically through their bank accounts or credit cards, without setting up a bank merchant account! Your setup information is entered only once into ClassMaestro and payments are collected automatically on the scheduled dates. As such, ClassMaestro helps businesses to increase their cash flow and offer a convenient payment method to their customers. ClassMaestro lets you maintain contact records quickly and easily. Information such as contact numbers, addresses, medical conditions, birthdays and class participation are entered, maintained, and securely stored on your very own database. Contacts can also be imported from and exported further to Outlook, Excel and CSV file formats. ClassMaestro's POS can transform your computer into a fully functional sales register, making sales quick and effortless. Processes such as selling stock items, discount calculations, money collection and receipt printing are quickly and automatically handled by the software. The built-in stock module allows you to manage inventory and track items sold over any period of time. ClassMaestro's POS is also fully integrated with cash drawers, docket printers and barcode scanners. From ClassMaestro, you can send bulk emails to all students and parents easily, alerting them all to re-enrolment forms and newsletters with virtually no effort. With our built-in SMS tool, you can send instant notifications such as lesson cancellation notices, payment reminders, staff notes or special announcements. SportLogic has partnered with a leading Australian SMS gateway provider to bring you a simple and cost effective integrated messaging solution. Since 2006, ClassMaestro has helped many class based businesses lower their cost of operations and improve customer satisfaction. The ClassMaestro software solution is proven and unique. We work closely with industry professionals to ensure the dynamic needs of your business are addressed by our product. Our customers spans over many industries, including dance studios, martial arts schools, tutoring businesses, music teachers, gyms, and sport businesses etc.